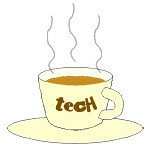 EDB « Tech bytes for tea? This year’s theme is “Have a safe journey” and features thought leaders such as Jim Reavis from CSA and Tim Grance from NIST, in a full day’s programme bringing CXO attendees through security issues surrounding Cloud Computing. CloudSec 2012 was held at Raffles City Convention Centre in Singapore on 15 August. I sat through a panel discussion over lunch that shed some light on the thoughts that Reavis, Grance and Nicholas Tan (VMware) had on cloud security. One opinion that may come as a surprise to many people is Reaves’ belief that the choice of whether a company should adopt a private, public or hybrid cloud should not be driven by security alone, which is what most people would use as the immediate and main consideration, if not the sole determinant for their decision. He felt that security could be a red herring in deciding between the different types of cloud implementation. Instead, the decision should be based on compliance (regulations on cloud use and location of data centres), performance (whether on-premise servers are needed to reduce latency) and legacy support (transition from existing IT architecture). Grance added that all the models are viable and the choice also involved the need for scale, which has to be balanced with the risk appetite of the organisation making the choice. All the panelists were unanimous that, in reality, the considerations for security for cloud is no different from traditional systems, although the specific technology employed may be different. Whether your systems are on a cloud or not, you would be facing threats, you still need to be vigilant, you still need to be rigorous about security, and you’d still need quality people to design and operate the system. Last year’s CloudSec 2011 at The Sheraton Towers saw more than 300 participants examining the theme of “Have a vision not clouded by fear”. This year, Trend Micro made the event bigger with more than 500 showing up at the Raffles City Convention Centre on 15 August.